(Video): Did Chelsea make a multi-million transfer mistake? Chelsea’s big money purchase of Kepa Arrizabalaga has become one of the talking points of the summer. The fact that they lost Thibaut Courtois for so little money just adds to the pressure on the 23 year old. 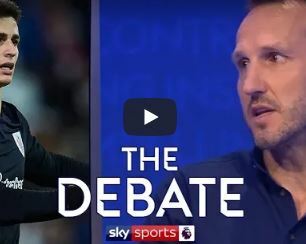 On Sky Sports, they had Chelsea women’s boss Emma Hayes and former Blues goalkeeper Mark Schwarzer debating the issue of whether the club have made the right call in losing one for the other.